The house is located in the district of El Terreno. Bordered by the sea and the Bellver Forest. 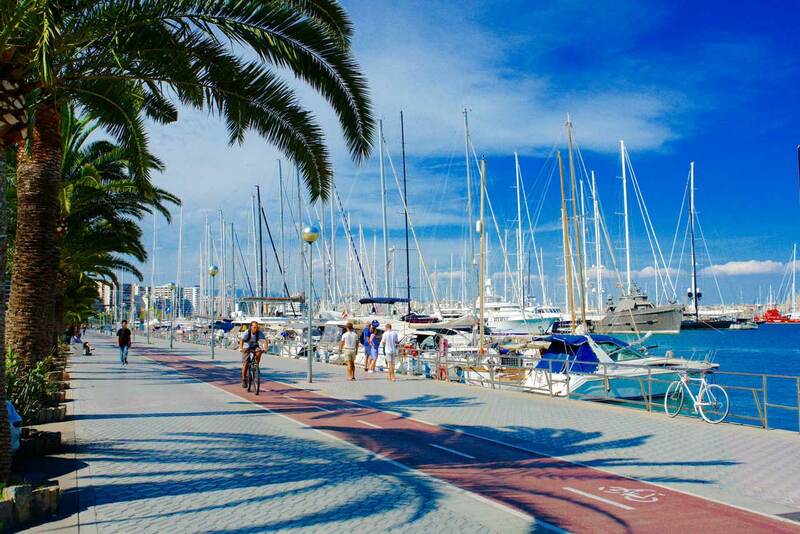 At just two hundred meters from Paseo Marítimo is the Sea Promenade. The gentle sea breeze and spectacular views make this area perfect for walking or cycling. 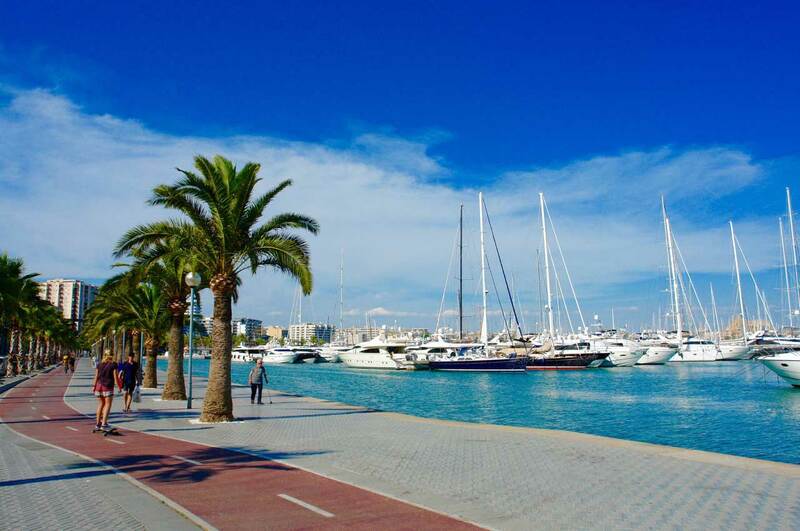 It boasts a spectacular setting, with Bellver Castle in the background, as well as the Cathedral, fishing harbour and Palma Yacht Club. At just hundred meters from the house there is a wonderful tropical park and a good playground for the children. In a district with all the necessary facilities, a bakery, chemist, supermarkets, a selection of grocery stores as well a wide range of bars. It sits on a quiet street within easy reach of the sea, the historic quarter and the city of Palma shopping mall, Porto Pi. The house has good public transport links, with the bus system being both fast and efficient, although cycling and walking are also easy alternatives. Visitors will not need a car, unless they wish to tour the island. Free street parking is available as well as an underground car park (charges apply). 5-minute walk to Paseo Marítimo (Av. Gabriel Roca), Palma’s main street full of bars, restaurants and night clubs. If you are planning to enjoy the Palma nightlife, Pachá, Títo’s and Garito Café are at walking distance away. 10-minutes away from the historic and cultural quarter. Palma boasts a rich cultural offering including the Joan Miró Foundation Museum, the Es Baluard Museum of Modern and Contemporary Art, the famous reredos by Miquel Barceló housed in the magnificent Cathedral, ongoing art exhibitions at Casal Solleric, standing in the heart of the historic quarter with a host of art galleries, Bellver Castle, theatres, concert halls and cultural events of all kinds. 15 – 20 minutes from the crystal-clear waters of Cala Mayor, San Agustín and Illetes beach. Only a 20-minute walk away is Santa Catalina, a former fishing quarter that today is packed with restaurants, bars and a bustling food market. 15-minute taxi ride, Son Sant Joan Airport, is only 12 km away.